Vabel acted as principal developer, lead designer, and main contractor on the development of a new penthouse apartment on top of a Victorian mansion block in West Hampstead. 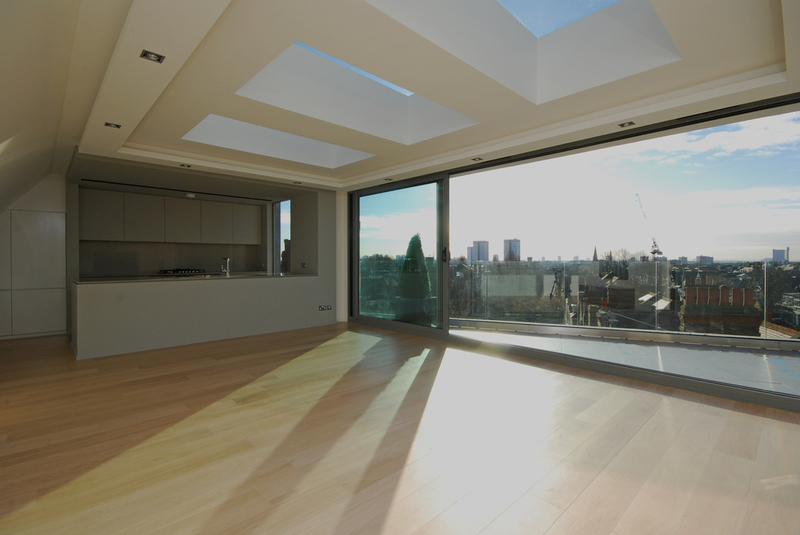 The three bedroom lateral apartment has two ensuite bathrooms, open-plan living areas, and a private south-facing terrace with views of Primrose Hill, Regent’s Park, and The London Eye. The property is close to West Hampstead underground station.